The Saylor Medical Never Diet Again Plan will be life changing. It is easy to do, Plus the simple steps allows you to REMOVE deadly fat permanently. Deadly "visceral fat" affects both men and women and is dangerous even if you only have a slight amount of excess stomach fat. The vast majority of people in this day and age have excess abdominal fat? It's true -- as much as 70% of the population of the US is now considered either overweight or obese. The first thing that most people think of is that their extra fat is simply ugly, but is also a dangerous risk factor to your health. Scientific research has clearly determined that although it is unhealthy in general to have excess body fat throughout your body, it is also particularly dangerous to have excess abdominal fat. Extra fat can greatly increase your risk of developing heart disease, diabetes, high blood pressure, stroke, sleep apnea, various forms of cancer, and other degenerative diseases. If you care about the quality of your life and your loved ones, reducing your abdominal fat (including reducing visceral fat) should be one of your TOP priorities! So what gets rid of extra abdominal fat, including visceral fat? Is there actually a REAL solution beyond all of the gimmicks and hype that you see in ads and on commercials for "miracle" fat loss products? Yes - the Saylor Plan. The first thing you must understand is that there is absolutely NO quick fix solution. 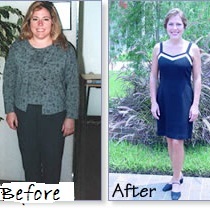 There are no pills or supplements of any sort that offers a permanent solution to weight management. A plan such as the Saylor Plan is the only solution to consistently lose your fat and keep it off for good. Our plan has proved to be successful for 21 years of clinical use and research. This has been confirmed by numerous university and medical studies. You and I have heard all the hype and scams and maybe even tried a few and here you are needing to lose weight again. If you are ready for a plan that actually works for now and for the rest of your life you should call us. There is no magic pill, shot or diet. If there was one we would have all used it and no one would be overweight. However what you see is people taking amphetamines, starving themselves, or having surgery and then putting the weight back on. Lasting control of your weight requires a plan based on you and how your body actually works. We have that plan. Based on science and proved to work since 1994. If you decide to try one of those other great sounding solutions and find it fails you, we understand. We tried them once too. But, when you realize they don't work and you want a real answer give us a call - 727-938-9966 and we will give you a no hype, no magic plan proved to work since 1994, that will provide you with lasting weight loss and increased health and wellness. (No matter what aid you use to assist you will fail without this. Nutrition Support - B vitamins - Lipotropics (fat burning) - agents for sugar control and cravings - others added as needed. Usually as a weekly injection but is also available as an oral. A hormone that allows for a very low calorie diet without hunger or fatigue from calorie reduction. Weight loss claims of 1/2 to 1 pound a day. Injection or sublingual. Effective when done correctly. A plan for women that have weight that doesn't come off even when you do the right thing. This is usually caused by a hormone imbalance. You'll be on your way to the Leaner, Healthier Body you've dreamed of... and you're not going to do it by starving yourself. Unlike a traditional "diet" where you deprive yourself of the food you love, the Saylor Medical Never Diet Again Plan is a more practical ap­proach to weight loss where you USE FOOD TO LOSE FAT! It is a simple plan that teaches you how to eat all the foods you love - all the same foods you are eating now - in a way that speeds up your metabolism so your body burns fat instead of storing it.There's no starving. No counting calories. No prepackaged "diet" food. And you won't deprive yourself of ANY of the foods you love. Instead, you'll learn how to make little changes to the WAY you eat your favorite foods that will give you huge results. And in just 30 days, you WILL lose pounds, you WILL shed inches, but more importantly, you will learn how to eat to be lean and healthy for the rest of your life. If you are tired of dieting and starving yourself to lose weight, then this is the plan for you. On the Saylor Medical Life Plan you don't eat LESS, you eat MORE. You use food to burn fat and that means eating often! On this program, you'll not only eat three full meals each day, you'll also snack IN-BETWEEN each and every meal - and into the evening - to keep your body's fat burning engine running on high all day long! And best of all, following the simple portion guidelines you can use virtually any food you love - from cheese and crackers to wine and chocolate - to stoke your body's fat burning furnace in between meals. On the Saylor Medical Never Diet Again Plan, you'll never go more than 3 hours without eating the foods you love! On this program, there are no prepackaged foods. No amphetamines with dangerous side-effects. And you won't be eating things like cottage cheese and rice cakes(...unless you love them!). In fact, if you ever eat anything that seems remotely like "diet" food, you're not following the plan. On the Saylor Medical Plan, you learn how to eat all the foods you LOVE – all the same foods you are eating now - in a way that causes you to lose weight rather than gain it. You'll simply eat them in the right combinations and amounts to optimize your blood sugar levels and switch your body from "Fat Storing Mode" to "Fat Burning Mode." And, the simple scientific proportions of the Saylor Medical Plate make sure you are always eating just the right amount of food to keep your body in "Fat Burning Machine"
We offer programs that encourages a sensible eating plan, moderate exercise, attention to portion control, and the use of various time-tested appetite suppressants, when needed. By following our Saylor Medical program people can not only lose weight but, best of all, they can develop new habits that allow them to keep the weight off. When you choose Saylor Medical Wellness we are confident that together we can help you reach and maintain your weight goals. We have had a great deal of success with our program, and we are very proud of our patients who have taken the necessary steps to control their lives and their weight. Will you be the next success story? At the Saylor Medical Wellness Center we say “yes you can!” We have no place for blame, and we have no interest in pointing a finger or making you feel bad. Nothing positive comes out of treating yourself negatively. Criticism and embarrassment are not part of our program design. It is our mission to inspire and encourage you. 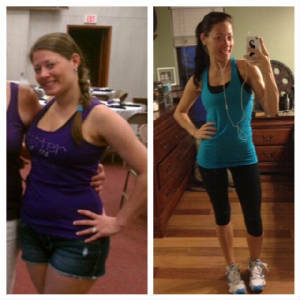 We know that changing your lifestyle and controlling your weight is a process that takes time. Like turning a ship in the ocean, it takes time for life’s course to change. But you can control your life, and you can change directions. So decide that you are going to start. Right now. Take action. Make an appointment today. Just start. You have the rest of your life to get where you are going and learn how to stay there.